The Teenage Kicks dance initiative is part of our strategy to encourage young people to be more active. This year 200 young people from Ashfield Girls, Belmont Infants, Harberton and Glenveagh schools along with teenagers from Lagan Village and Walk Way Community Groups took to the stage at the Ulster Hall celebrating the 12th year of the programme. Teenage Kicks recognises that young people sometimes turn away from traditional school sports in their Teenage years. The programme offers the opportunity to try dance as a healthy way to keep active and boost their confidence, social skills and mental health. The children take part in a programme of energetic dance tuition with support from Freddy Kinnersley, affectionately known as “Fitness Freddy”. 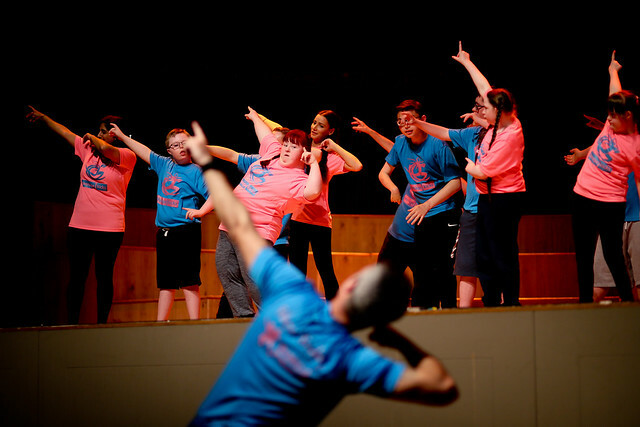 Throughout the programme their confidence and self-esteem grow enough to have the courage to perform on stage in the Ulster Hall in front of a packed house. A roof raising performance is guaranteed. For more information on Teenage Kicks and how to participate contact Claire on Moraghanc@belfastcity.gov.uk or call 028 90320202 ext 3414.